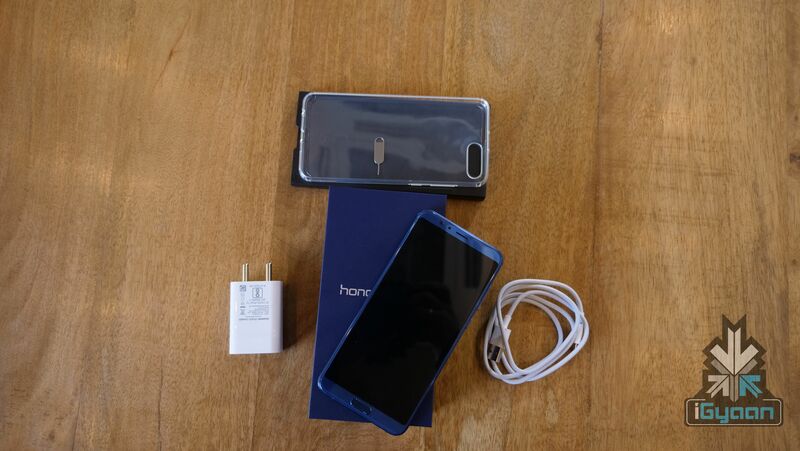 Honor recently launched the Honor View10 at an event in London. At the time, it was announced that the device will go on sale in India on the 8th of January and the device is priced at 499 Euros (Rs. 38000 approx.). Let’s unbox the device and take a look at the device. The Honor View10 shares a lot of design cues with the Honor 7X. It has a similar screen size and thin bezels around the display. However, the Honor Viewo10 uses the bottom bezel to house a fingerprint sensor in it, unlike the Honor 7X which has the Honor branding instead. The device feels looks and feels premium and the Aurora Blue colour is a winner all the way. A welcome break from the usual black and grey phones. The dual-cameras at the back protrude ever so slightly as the antenna lines run on around the top and bottom of the phone. 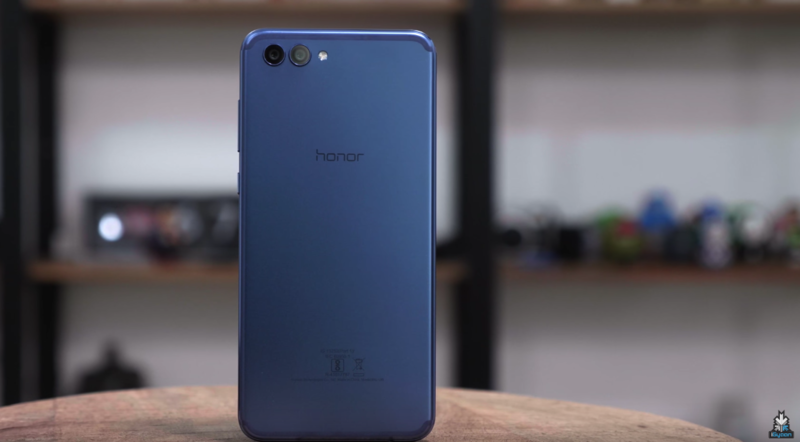 It has the HiSilicon 970 chipset which focuses a lot on AI, and Honor wants the View10 to be ‘your first AI smartphone’. The Honor View10 has a 5.99-inch IPS LCD display with a 2160 x 1080 px resolution which translates to an 18:9 aspect ratio. The Honor View10 has minimal side bezels and thin top and bottom bezels. Under the hood, the device has the Kirin 970 chipset with a Neural Processing Unit, 6GB of RAM, and 128GB onboard storage. The onboard storage can be expanded up to 256GB via microSD card. There is a 3.5mm headphone jack at the bottom of the device along with a USB Type C port. The front of the device also has a home button which houses the fingerprint sensor. 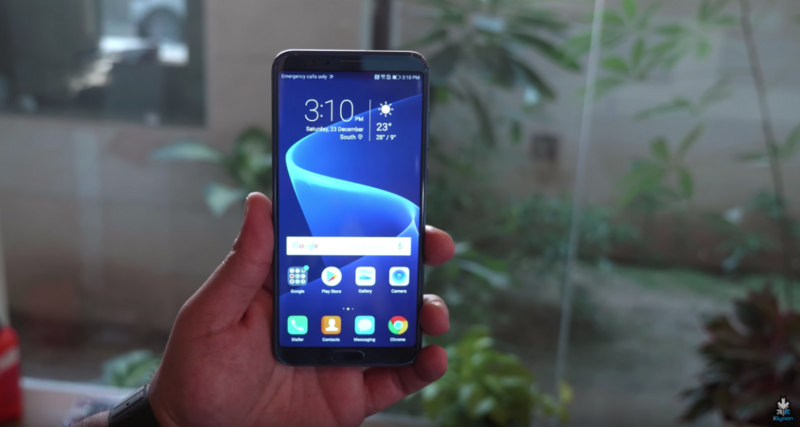 The Honor View10 also has facial recognition which is becoming more prominent since the launch of the iPhone X. The facial recognition works similar to the Face ID on the iPhone X, the accuracy of which, will be extensively tested in the coming weeks. Similar to the Google Pixel 2 and Pixel 2 XL, the Honor View10 also concentrates a lot on AI. For example, while on a call, AI will differentiate between the user’s voice and background noise to make sure the user’s voice is clearer. This is thanks to the presence of the Kirin 970 chipset which has a Neural Processing Unit on board. 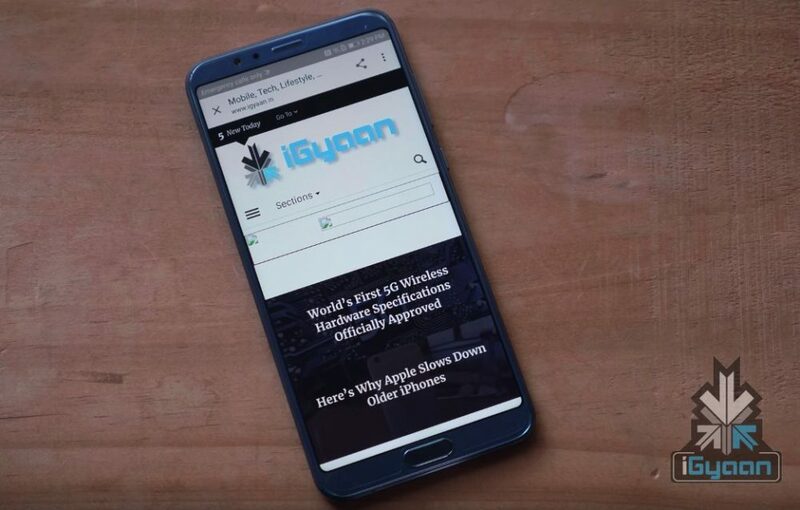 The new chipset will also mean better battery life as Honor suggests that it is “50 times more efficient than an average CPU.” Huawei being telecommunications giant has introduced new features in the Kirin 970 such as the Cat 18 compatibility, which means it can reach download speeds up to 1.2GB per second. Also, the Kirin 970 can support 4G data on both sims at the same time. Kirin 970 is powered by an 8-core CPU and a new generation 12-core GPU. Built using a 10nm advanced process, the chipset packs 5.5 billion transistors, which is about 2.5 billion more than the Qualcomm Snapdragon 835. Because of its facial recognition technology, the Honor View10 also has iPhone X-like animojis, which Honor claims are much more accurate than iPhone X since it tracks the user’s tongue as well. Powering the device is a 3750 mAh battery and supports 5V / 4.5A fast charging. Honor claims the phone will be 50% charged in 30 minutes thanks to Honor Super Charge technology. The Honor View10 has a dual camera setup at the back and has a single camera at the front. The back of the devices houses a 16MP RGB sensor and a 20MP Monochrome sensor with both having an f/1.8 aperture. The primary camera setup records 4K videos at 30fps. At the front of the phone is a 13MP camera with an f/2.0 aperture.